Some brides dream of their wedding day their whole lives, and Jill was no exception to this. According to Jill, her theme was to "Eat, Drink & Re-Marry". 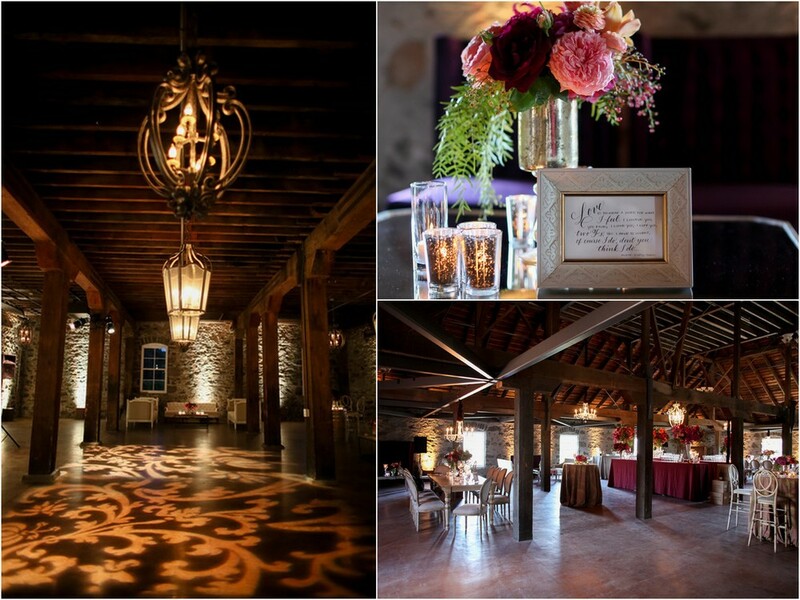 We quickly learned and admired Jill’s strong desire to be involved in the design & planning of her wedding. Jill & George wanted a wine country experience for their destination wedding, encompassing relaxed elegance, with the feel of a gala event. Being from Atlanta, Georgia, they had a little “Southern Charm” in their blood, & desired a country, vineyard chic setting. Trione was the perfect venue for this. Jill & George embraced the nontraditional elements of this marriage, and wanted to create a relaxed & comfortable environment for their out of town, more mature & sophisticated guests. From golfing & wine tasting, to some R&R, this was a full weekend of fun & festivities. These two loved Fall with its robust, rich colors and wanted to incorporate those vibrant jewel tones tastefully into their design. They also loved the “mix and mingle” feel to a gala party. 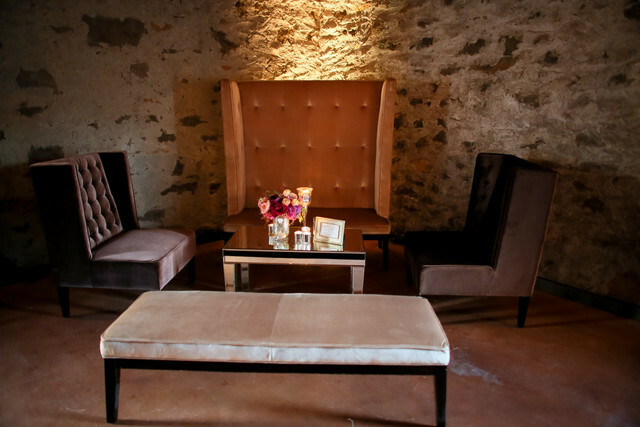 In order to ensure thism we had lots of various styles and options of seating incorporated in little nooks & corners for guests to sit, nibble and chat throughout the night as entertainment carried on. 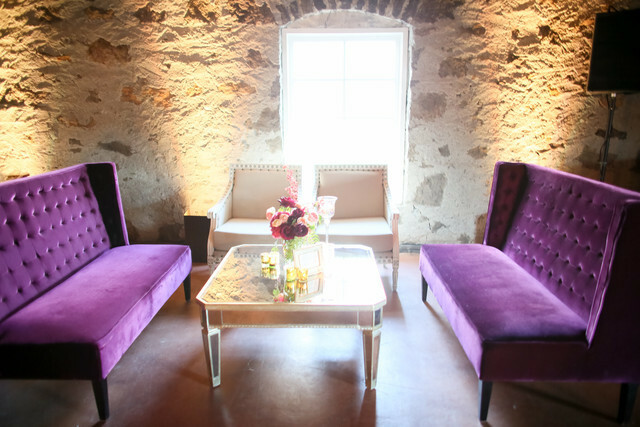 With multiple lounge motifs, we created a modern & trendy space for social gathering among guests. The casual, interactive vibe that they wanted caused a great mix of their families to gather the two sides as one. With Jill being related to the Trione family, having her event at the Trione Winery had a sentimental meaning to her and her heritage. Besides the eccentric & unique design we created for this event, we had some fun & creative surprise elements that blew the guests away. From the opera singer entertainment during dinner to the dinner food stations highlighting the best of the season with a wine and beer pairing per station, the event went off without a hitch. For late night fun, we moved the party downstairs where we had a 21-piece swing band, which rocked the house the rest of the night. For those not in the dancing mood, they could head outdoors for some fresh Northern California air, or the popular cigar lounge.